Well I wasn't expecting this one. I could've sworn DC would give one of the remaining 52 #1 spots to Captain Marvel, but I guess they have to leave some thunder for another day. ACTION COMICS #1 Grant Morrison sure likes to rock the boat and see who flips. Following his definitive All Star Superman, Grant returns with a Superman defending a world that doesn't trust their first super-hero. Art; Rags Morales. 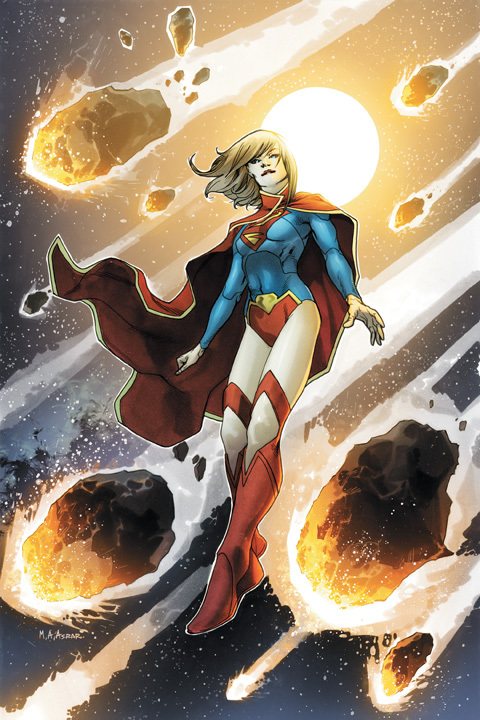 SUPERGIRL #1 She's a teenager with the powers of Superman, without his affection for us humans. Yikes! Writers; Michael Green and Mike Johnson, Art; Mahmud Asrar. SUPERMAN #1 Superman, but not as you knew him, by writer George Perez. Art; Jesus Merino. SUPERBOY #1: A failure of an experiment, Superboy is about to show the world exactly what a combination of Kryptonian and human DNA can do. Writer; Scott Lobdell, Art; R.B. Silva and Rob Lean. 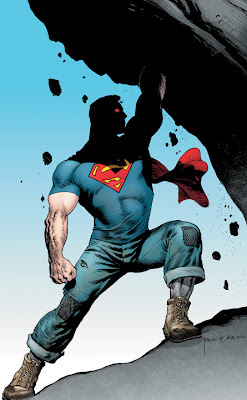 Even in the hands of Morrison, another Superman origin story is overkill. Was Secret Origin inadequate? I don't know. I want to trust that DC knows what they're doing but I have a sinking feeling that this whole "reboot and renumber everything" idea is...not so good. Hey Doug and Pensol - thanks for the great comments! @Pensol My biggest worry is that some great titles will lose out, get cancelled and that will be it. Still my spider-sense is tingling. I think there's a catch that DC hasn't announced yet. I mean where is the JSA?